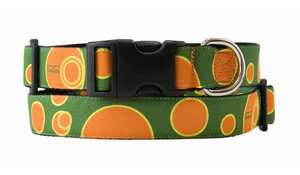 *Leash will match pattern & width of collar. 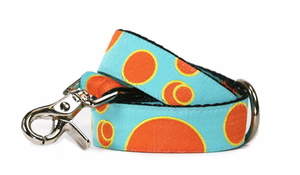 Leashes can also be ordered separately on the Leashes page. Dolores celebrates a day at the park. 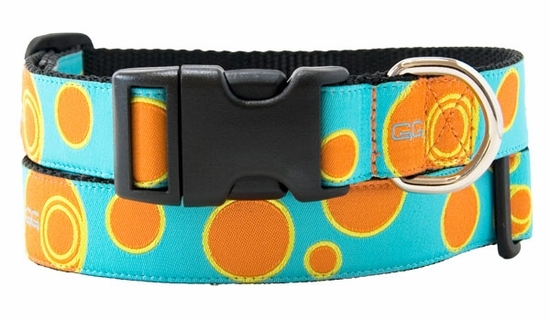 The hip pattern of Orange and Turquoise is sure to turn heads. Made from durable 1/2"XS 5/8 & 1" nylon webbing with high quality nickel plated hardware. Machine wash and line dry. © Copyright 2006-2019, Gwen Gear, San Francisco®. All rights reserved.